anyway, they made a hole and then they formed a human chain (we know human chains in Bengal!) and they were going to bring water from all holy places by buckets! So Krsna was thinking, “This is going to take forever! 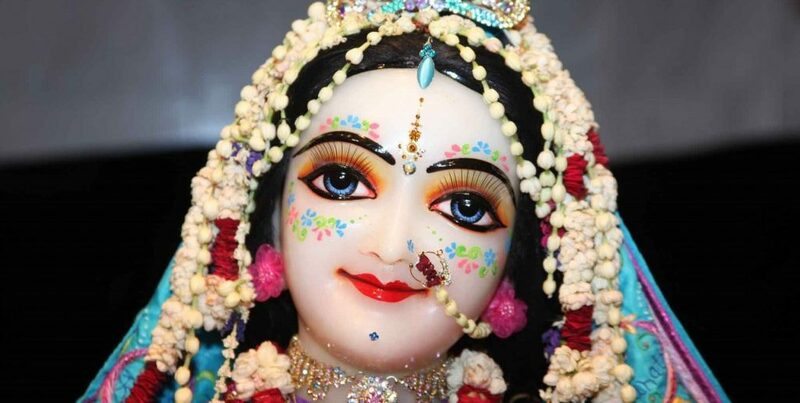 For how long again will I associate with Srimati Radharani?” so Krsna interfered; He inspired all the Deities of the waters to come before Srimati Radharani and to pray, “Please, allow us to enter into Your kunda,” which She then could not refuse. 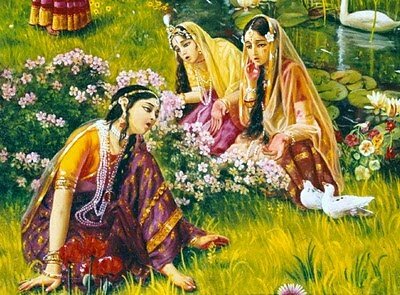 Then She took bath there.So Radharani, She had that mood of compassion. But from the Radha kunda story we can see that when Radharani does it, She must do it with just surrender in service. She is not like Krsna- omnipotent- Krsna can do anything; He’s the Supreme Lord, so easily. And She has to do a lot of work and service in comparison to Krsna. Thus the compassion of Srimati Radharani combined with the omnipotence of Krsna is what we see in Sri Caitanya Mahaprabhu and thus we see now the magnanimity of Sri Caitanya Mahaprabhu- this mahavadanya avatara- we see this now! It’s just absolutely amazing! Nothing, no such compassion has ever been seen before! And thus this is just amazing! We call it Kali yuga but actually to tell you the truth…it’s Caitanya Yuga!!! It’s touched by Him!